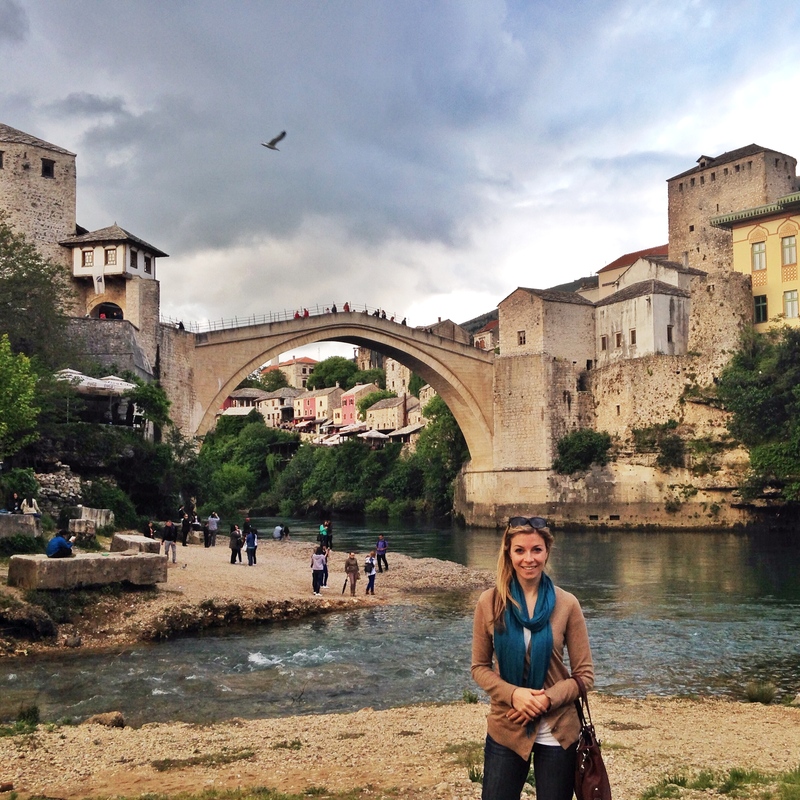 Just a few hours south of Sarajevo, Mostar feels like a different world. 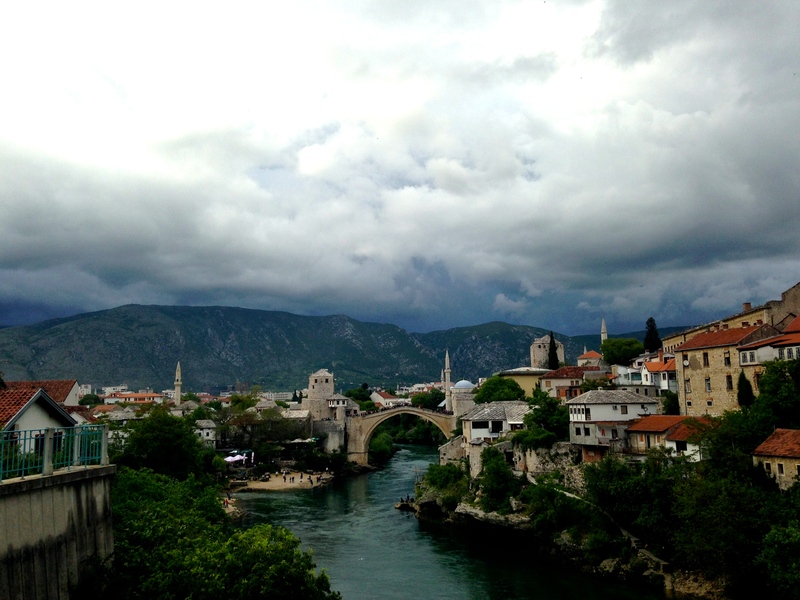 It is closest destination in Bosnia to Dubrovnik, Croatia and as we entered this mixed Croat/Bosniak city in Herzegovina, we fell back in love with the Adriatic landscape that enticed us to return to the Balkans to begin with – particularly the drama of the mountains plunging into bright blue-green waters. 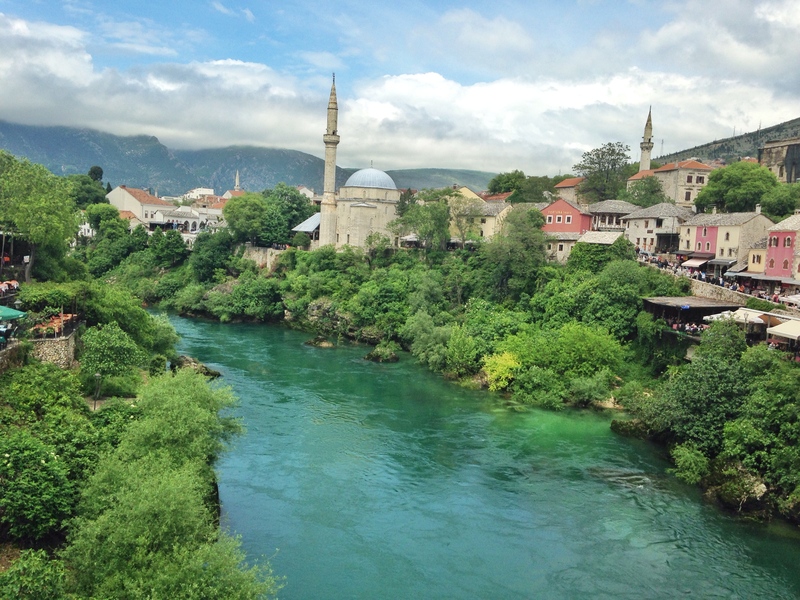 Mostar is one of the Balkan’s most well-known gems and it is a-bustle with tourists who stop by for an hour or two during the day; it’s even the cover of the current Lonely Planet Southeastern Europe guide book. There isn’t much to do in the town itself aside from take pictures on and of the eponymous bridge and, for the those who dare, jump off the bridge. 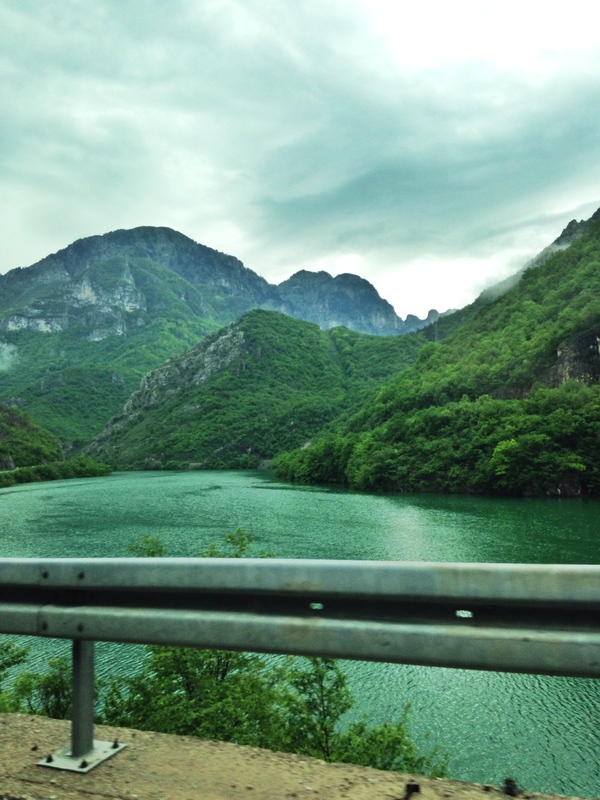 That said, it’s well-worth the stop, especially as a point to relax and break up the drive to Montenegro or Croatia, and a great base from which to go out on day trips and excursion in and around the area. Admittedly somewhat touristy, we enjoyed great food at Sadravan and Konoba Taurus, and drinks at the fun Black Dog Pub overlooking the water, included the locally brewed OldBridz brown ale. We stayed right in town at Villa Fortuna, which has the most charming inn keeper, if not the most reliable internet. 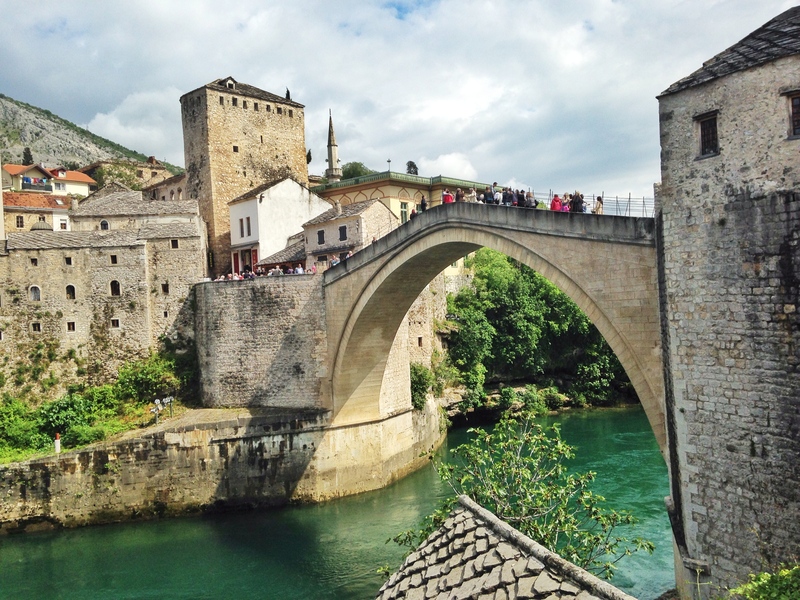 This entry was posted in Bosnia & Herzevgovina, Europe. 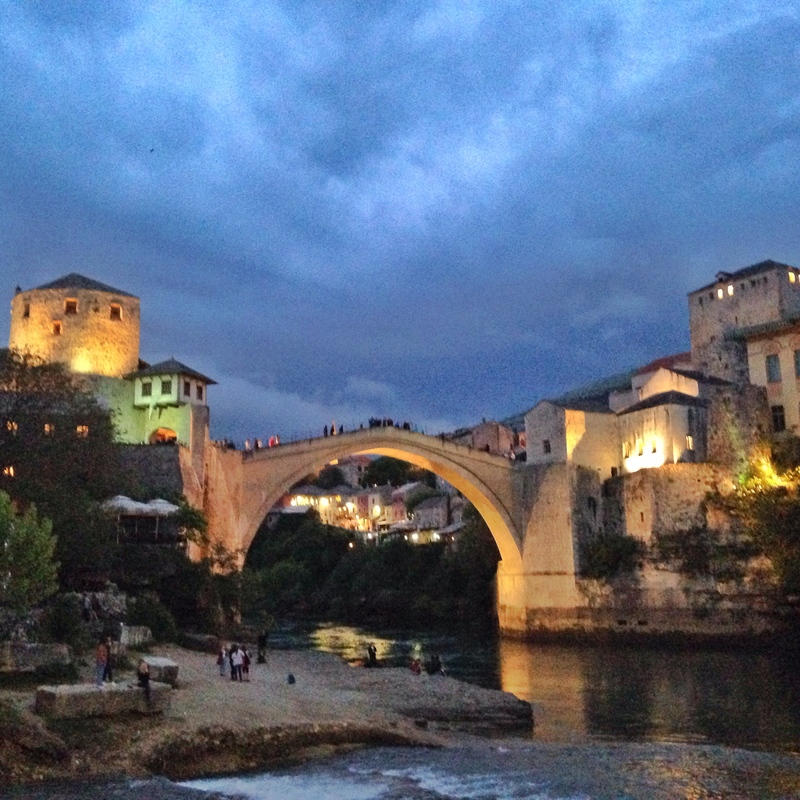 Tagged ale, bars, bih, black dog, black dog pub, bosnia, bosnia and herzegovina, bridge, bridge jumping, day trips, eat, hercegovina, herzegovina, konoba, konoba taurus, mostar, old town, oldbridz, pub, restaurants, sadravan, tourists, tours, where to stay.